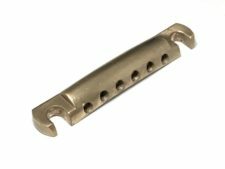 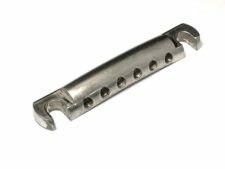 Faber® TP-’59 Vintage Spec Stop Tailpiece An extremely lightweight stop tailpiece (1.0 oz./28.35g), of correct vintage style, weighing around 1/3 less than the zinc tailpieces (3.1 oz./88g) used on modern guitars. 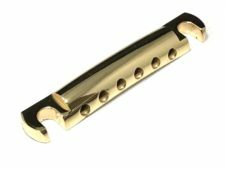 They transfer vibration much differently, resulting in a woodier, more vintage, tone – a direct replacement for your Gibson tailpiece – just remove the old, zinc, tone robbing tailpiece and replace it with this superior solution. 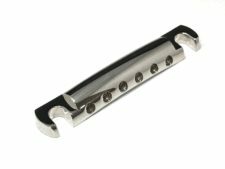 Aluminum, available in various finishes to suit all applications.